I’ve been back and forth many times about how to start this post – or even what it should contain. Should I keep it casual and start sharing stories about the quick trip to Washington, DC my family took over MLK weekend or would that be acting like I just popped out for a quart of milk around the corner and took over a year to come back? Should I point out the fact that one of the boys pictured so frequently on this site has grown about six inches since I last shared a photo of him and is now as tall as I am or should I just pretend nothing has happened? 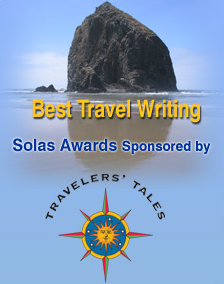 Should I tell you how much I’ve missed sharing my travel stories? Or how I’ve been so scared I’ve lost my blogging mojo that without even really admitting to myself what I’d done I removed my site as the homepage in my web browser because I haven’t wanted to look at it? When a blogger stops posting it’s a little like a tree falling in the forest – there’s just no one there to see or hear. No new content means the Google gods serve up few new visitors and once-loyal readers and friends drift away assuming you’ve moved on to bigger and better things. For a long time I blogged a lot. Then for a while I blogged a little bit less. Then for about a year, I pretty much stopped. When I first started The Mother of all Trips in 2008 my life was very different. I was working part time as an editor of a website that published lesson plans and classroom materials for reading teachers. My sons Teddy and Tommy were 3 and 6 respectively, which meant I still owned a stroller and had a child who occasionally took a nap. Although my husband Matt was involved in the administration of his university department, his work life was still basically on an academic schedule. Travel didn’t interrupt our lives; it enhanced them. It felt easy to say yes to almost every opportunity that came my way because doing so didn’t involve choosing between commitments at home and adventures away. I touted the value of day trips as a great way for new parents to dip their toes in the traveling waters and planned and wrote about local outings with my toddler every week. Our freedom became even greater in 2009 when I quit my job to pursue what I thought would be a career as a professional blogger and freelance writer. For about five years, all of this worked better than I ever could have imagined. We were invited to the Atlantis Resort in the Bahamas, to Fort Myers in Florida, to travel to Williamsburg, Virginia in a luxury SUV. We discovered amazing restaurants in Milwaukee, Wisconsin and skied at Keystone Resort in Colorado and Northstar in northern California. For years I posted about every trip we took. I took photos of every meal and hotel room until my children knew to obediently wait to take a bite or put their backpacks on the floor until I had given them permission. It happened slowly, but at some point I started to realize that more and more of what I was publishing on my site was sponsored. That isn’t to say that it wasn’t authentic – I’ve never written anything here that I wouldn’t stand by, and I worked hard always to create and share meaningful stories. But by focusing on posts I was paid to write I sometimes neglected to share things that weren’t earning me money but that were interesting and fun and important to me (and might have been the same for my readers). At the same time, my enthusiasm for group press trips with punishing schedules waned as did my desire to write list-like, how-to, destination-centered articles, which seemed to be mostly the type of paying freelance work I was able to find. Staying on top of social media trends was exhausting and so was learning how to figure out how many people were visiting my site so I could share that information with potential sponsors. Instead of just joyfully creating, I was suddenly managing a business, and while I enjoyed some aspects of that, others were overwhelming. There was some really cool and creative stuff in there, don’t get me wrong. I started a campaign and separate website called Back to Ski that celebrated the joys of family ski trips. 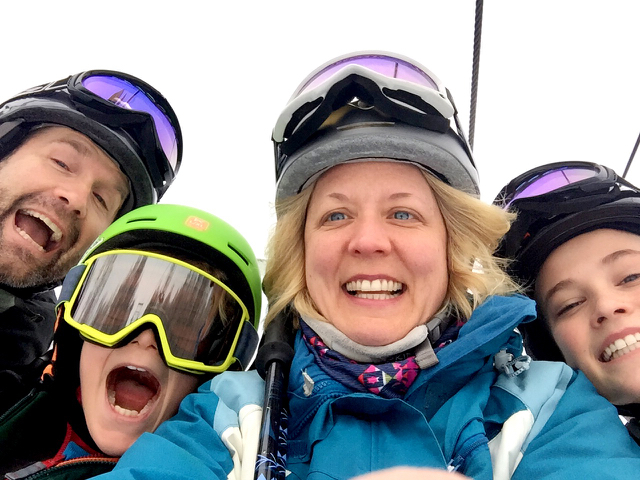 I’m proud that I turned entrepreneur and went out and found resorts to partner with and paid other family travel bloggers to join me in sharing the joys of family ski vacations. Perhaps the proudest moment of all was when on the strength of that work I was invited to speak about the campaign at the 2014 Travel Blog Exchange Conference in Cancun, Mexico. 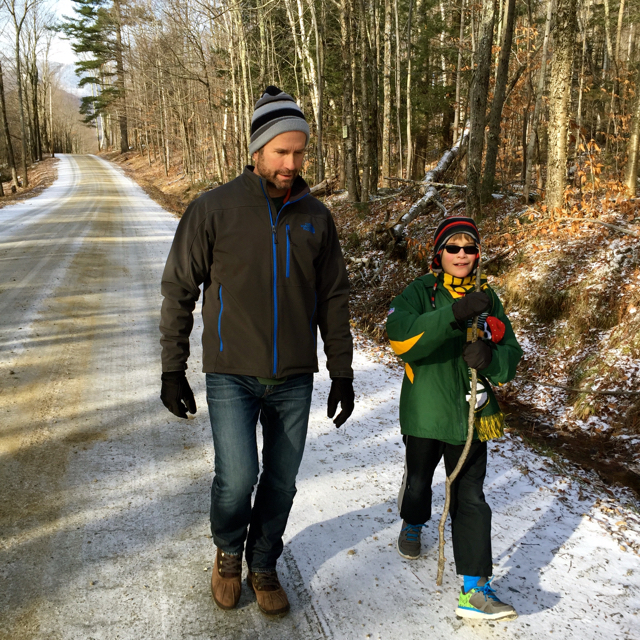 And I still believe in my role as an advocate for the ski industry, which has continued to this day in my writing as an All Mountain Mama for Ski Vermont. Even more exciting, I wrote a book that distilled over a decade’s worth of experience into a handy guide designed to give every family the tips and tools they need to travel together and have a good time, no matter where they are headed. 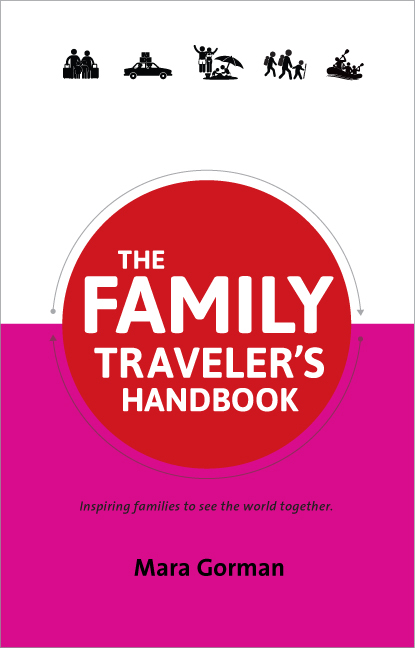 The Family Traveler’s Handbook was a true labor of love and whenever I hear that someone has given it as a shower or new baby gift I’m delighted to think that it’s there showing someone who thinks they’ll never leave the house again that they can travel with kids. But perhaps you see a trend developing here? None of this had me spending much time on my blog. I stopped seeking sponsored work because it wasn’t satisfying or worth the small amounts it paid, but I also stopped writing stories on my site about the traveling that my family continued to do. The crickets got louder and louder. And my non-travel life changed too. Matt was promoted – twice – and as his job expanded so did my responsibilities at home. Where we had once talked about traveling around the world together during a sabbatical year we now talked about driving the kids to music lessons, karate, and Lego League. Baseball became a more serious commitment for my older son Tommy lasting from March until November. There were more activities, more homework, more birthday parties – and less and less time (it seemed) to write for this blog. 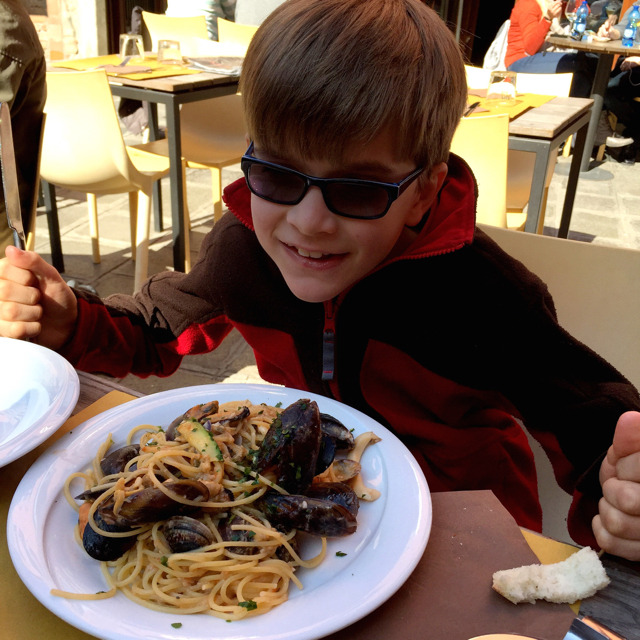 Were my days as a family travel blogger over? 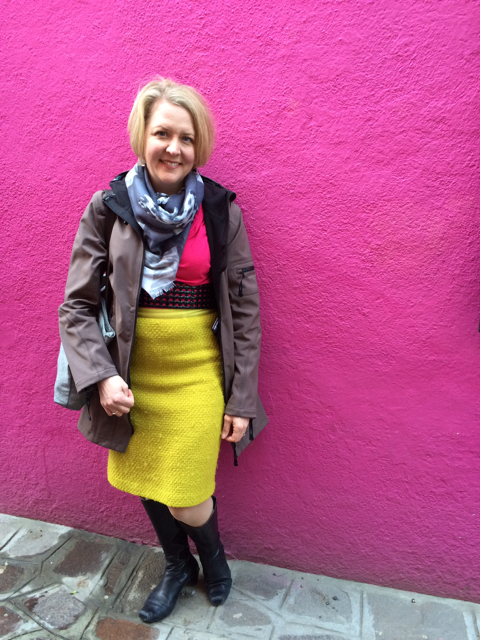 My life had changed; my approach to my blog needed to as well. I want to once again find the joy in blogging and for me that lies not in worrying about numbers of visitors or how many people follow me on social media or whether my posts are “pinnable.” It lies in creating something beautiful to share and putting it out into the universe. It also lies in exploring what I know and what I am still learning about traveling with kids. My belief in the value of family travel and its transformative powers has been unwavering. My family still spends between six and eight weeks a year on the road. But where once the travel challenges lay in figuring out how to maintain a nap schedule or how to eat out with children who preferred running to sitting, now I look in the backseat of the car at two boys with headphones on and wonder what we’ll do to engage them. I worry about what they’ll miss if I take them out of school for a few days. 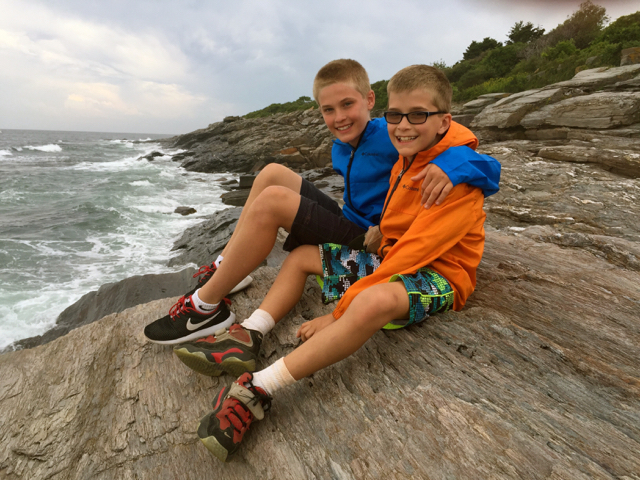 And I think about the fact that in just over seven short years – less the amount of time that’s passed since I started this blog – they will both have graduated from high school. I don’t like New Year’s resolutions, so easily made and just as easily forgotten by the time February rolls around. But I do like new beginnings. It may be the last and not the first week of January 2016, but there’s still plenty of time to declare a fresh start for my blog. What can you expect from The Mother of all Trips in 2016? Stories, stories, and more stories. My main goal on this site has always been to inspire parents to travel with their kids by sharing my family’s stories. I also have always considered myself first and foremost a writer. 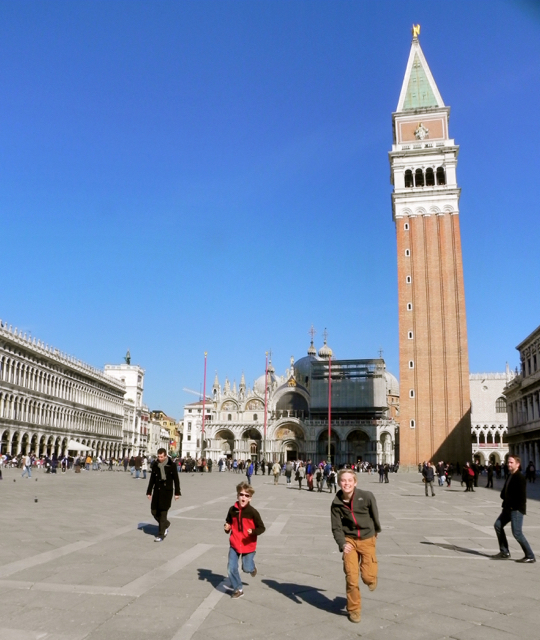 I’m going to return to those roots, sharing stories not only of the trips we will be taking this year but also going back to the travel we did in 2015 including our gorgeous three-day sojourn in Venice, one of my favorite family trips yet. Some of these stories will be long; others will be short. But what they won’t be is targeted for search engines. I’m going to write for people, not for Google, and if that means only two people read them as opposed to two thousand, so be it. Solo adventures. For a long time it was hard for me to imagine going anywhere without my children. But as they’ve gotten older and stopped needing constant care and attention I lifted my head and realized that it might be fun and fulfilling to spend time away on my own. I can’t wait to tell you about my trip last spring to San Francisco or the women’s-only skiing clinic in Vermont that I’m enjoying this very week. And I’m not the only one who wants to travel without the family. Tommy came home from school during his first week of eighth grade delighted to report that his French class would have a chance to visit Quebec City for five days right before Christmas. It never occurred to him that we wouldn’t want him to go and of course I couldn’t have been happier that his first real school trip involved the use of his passport. I’ll be sharing stories of what it’s like when kids travel without their parents, and how you can help them safely and joyfully spread their wings. A new newsletter. I have always offered the option to subscribe to all of my posts. This means that every time I publish new content, it is delivered directly to your inbox. (Sign up to have all my content delivered.) But starting in February 2016 I’m going to offer another choice: A bimonthly newsletter. 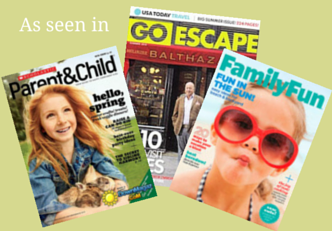 Not only will I share highlights from my website, I’ll include special stories for my subscribers that I don’t publish here, tips from The Family Traveler’s Handbook, and an Ideas, Inspiration, and Deals section. Updated content. In my years of blogging I wrote and published hundreds of posts, many of them still full of relevant information that just needs a bit of freshening for accuracy. Every week in 2016 I’ll be re-publishing updated stories. 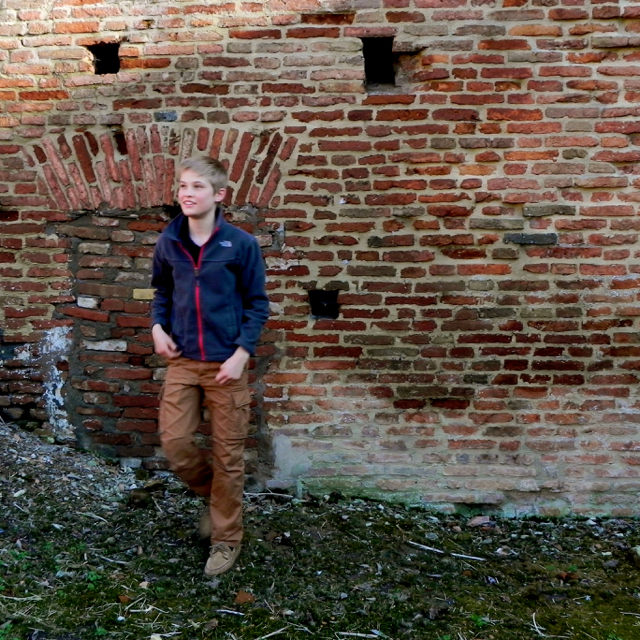 Exploration of what it means to mindfully travel with – and parent – teens. There are dozens if not scores of articles about how to bring a baby on an airplane but how many have you seen about how to maintain your family travel time in the face of the relentless demands our culture makes on teenagers’ time? I plan to tackle that topic head on, and also to explore the challenges and value of family travel when your kids are more interested in hanging out with their friends than you. Openness about my own challenges. I’m getting older too, and with that have come some challenges – staying in shape, managing health problems, finding my way back into a more serious working life as my kids prepare to launch. And if the one-way journey toward menopause isn’t the ultimate Mother of All Trips I don’t know what is. I’d like to bring you along with me. You’ll find more stories of how I navigate not only new physical spaces in my family travels but also this new terrain of aging. One of my favorite photos of Tommy exists only in print form. It sits on my desk. He’s 18 months old and wearing a pair of overalls and a striped turtleneck. His pudgy, dimpled hands rest in his lap as he looks eagerly out the window of a train off to the left side of the frame. Everything about his posture and face speaks of the anticipation, excitement, and delight that travel into the unknown brings. It’s also exactly how I feel about this website. I enjoyed reading this, Mara! The nature of blogging, like life, constantly changes and we too are making big decisions about the direction we want to go in 2016. I hope that we can follow our own path with the same passion and excitement that you write about here. Best wishes to you, friend! Thanks Allison – your support means a lot. Love this Mara!! Cannot wait to read and follow along!! So glad to see this, friend. I’ll be reading! Thanks so much sweet friend – I feel like you’ve been there since the beginning. Yes the kids do grow up don’t they? I’m tuning in as I am in the same boat with two 14 year olds and an 11 year old. Different challenges but still so much to tackle! Teens and tweens are a whole new ball of wax aren’t they? Thanks for visiting. Yay you! So happy to read all of this. Congratulations and here’s to big changes! Thanks Paige – I’m so excited to be back. Congratulations on your fresh start- with the blog and with your life. I can relate to every single thing you have written here and I’m so encouraged by your positive attitude and forward motion. I’ll use it to spark my own reboot…thank you! I’m so glad you feel like this was inspirational – sometimes we all just need a little push don’t we? Good luck! What a lovely post, Mara! Can’t wait to keep reading!! I’m looking forward to reading more of your stories!! I can totally relate I the life cycle of blogging. So glad to see you return! Thanks Amy – I’m glad to be back. I love following your travels. I especially love the family pictures. Big hugs to you Marg. I can only hope to follow in your footsteps friend. Oh Mara! Thank you so much for sharing this with us and I’m looking forward to following you on this new journey as well. Lots of love. Thank you so much Lola! You are always an inspiration to me. 19 hours ago by motherofalltrips Terrible drive today but made up for it by eating all the (uh-mazing) pizza.